Test Cricket is the ultimate format of the Gentleman's Game and sometimes, even the best of players have failed to make the transition from the shorter formats of the game to the five-day format. It can be unforgiving at times and it takes a lot of grit and determination to truly excel in Test cricket and emerge as a champion when you finally bring down curtains on your international career. There are quite a few players who have stood the test of time to emerge as legends of the game, especially in the Test format, after a full-fledged career. England's Alastair Cook became the latest addition to that illustrious list after the former skipper announced that he would be retiring from international cricket after the ongoing home series against India. Having made his Test debut against the same nation way back in 2006, Cook walks away from the game as England's leading run-scorer in Test cricket with more than 12000 runs and 32 hundreds to his name, far ahead than any of his countrymen and those impressive numbers will certainly take some catching up to do. Let's take a look at ten other famous cricketers who had an illustrious career in the Test format and like Cook, played their first and last match against the same country. 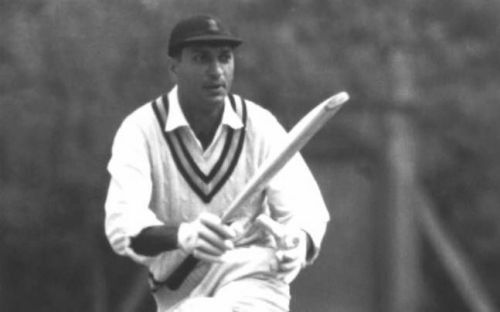 An all-time great in Indian cricketer, Polly Umrigar was the first Indian to score a double hundred in Test cricket and also played a major role in the country's first ever Test win, scoring a knock of 130 after coming into bat at No 7 against England at Chennai in 1952. He made his India debut against West Indies in the 2nd Test on December 9, 1948, at Mumbai's Brabourne Stadium and by the time he retired in 1962, playing his 59th and final Test against the same opposition at Kingston, he held the record for the most runs, most Tests and most hundreds by an Indian cricketer - a record that stood until 1978. He was also an occasional bowler, taking 35 Test wickets, most famously taking four wickets in a famous win over Australia at Kanpur in 1959. Umrigar also led India in 8 Tests, winning two of them.